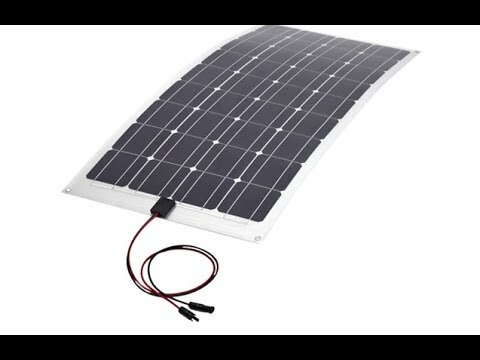 Controllers & Connectors for Solar Panels? First of all, thank you for your no-frills, easily-understood series of articles in Pacific Yachting. 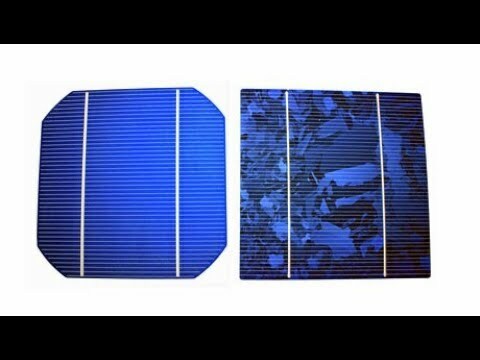 I have two questions relating to the June 2014, Solar Panels article on page 72. 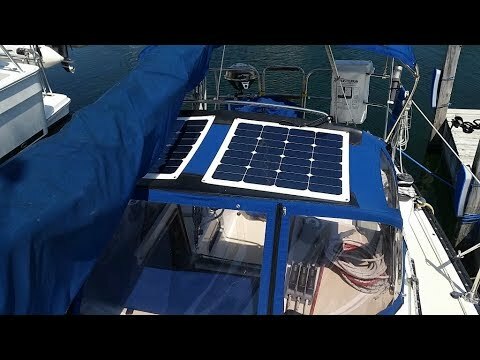 We have a sailboat with three 12 V Group 27 batteries (no space for golf cart type) and have used a 45 watt flexible panel to extend our time at anchor with good success. 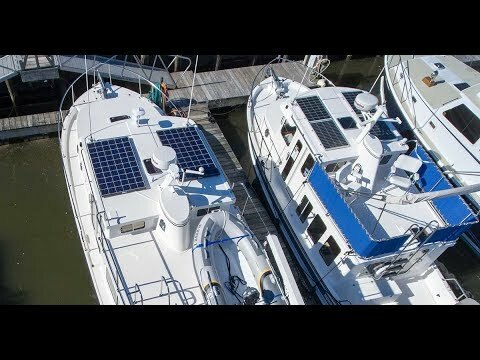 Our main draw is a Dometic/Engel type “portable” freezer as the lights on the boat are all now LED’s and the chartplotter, depth sounder, and knotmeter are usually off at anchor. Your article showed six panels. 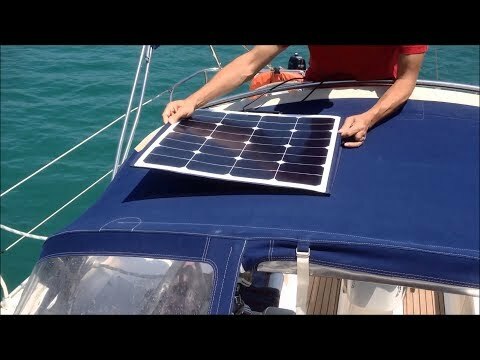 We purchased a second, 80W, panel for ourselves a year ago but I have yet to connect it. I had intended to use the controller we have at present because it is rated at an appropriate voltage. However, I gather from your Q&A pages that it might be better to purchase a separate controller. My questions: 1. 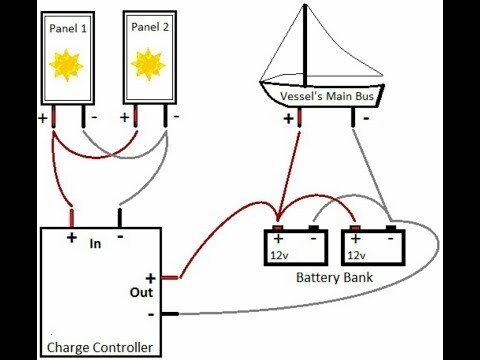 The controller - Would the two controllers be connected in parallel and from there to the batteries? 2. 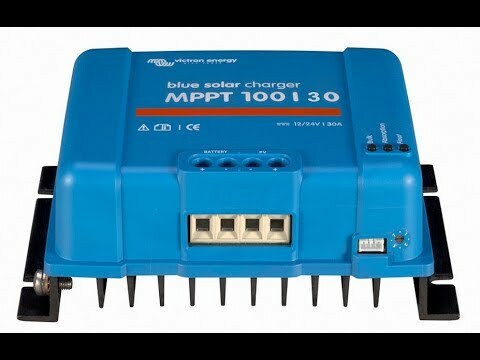 The panels: What connectors did you use to connect the cables from the panels to the charge controllers? I am having difficulty finding weather-resistant electrical connectors that can still be disconnected quickly when we need to change the position of the panels. Thanks again for the articles. Each panel will be connected to its own controller. In turn each controller would be connected to the battery. You could of course parallel the controllers, as long as the wire from the controllers to the battery is sized to accommodate the current from both controllers. In terms of connectors, the de facto choice is the MC4 connector. It is IP-rated and made to be done and undone easily. The Solbian panels all come with MC4 connectors.